New data published by the Parliamentary Budget Office reveals the number of individuals on the federal payroll rose 14 per cent since Harper's Conservatives came into office. The Conservative government has made it clear that curbing public service costs is a key part of its agenda as it heads into the second half of Stephen Harper's majority mandate. But budget measures and ministerial musings about everything from public sector pensions to the collective bargaining process and even sick leave may obscure the bureaucracy sprawl under the Conservative watch. New data published by the Parliamentary Budget Office has tracked annual civil service payroll numbers by job classification and by federal department, and both are illuminating. The PBO spread sheets reveal the number of individuals on the federal payroll rose 14 per cent between the end of the 2005-06 fiscal year, when Harper's Conservatives came to office, and 2012. Information services employees were up 15.3 per cent, administrative services rose 20 per cent, financial management staff jumped 35 per cent and welfare program employees were up 43 per cent, according to the PBO. The departmental breakdown shows dramatic increases in the country's security, corrections and spy bureaucracies but some surprising shrinkage in other areas — including the Finance department, Industry Canada, and the Privy Council Office that serves the prime minister. The largest staff increases came at the Canadian Border Services Agency, which grew by 5,200 employees, or 54.6 per cent, and the Correctional Service of Canada, up by 4,516 staff or 31 per cent. The RCMP's civilian staff grew by 40 per cent, adding 1,787 employee to reach 6,210 on the payroll, and Public Safety Canada added 388 people to the payroll, more than 53 per cent. Public Safety officials said the PBO numbers reflect part-timers, term employment and job sharing, and that when converted to full-time equivalents "the departmental workforce has in fact increased by only 35.56 per cent." Spokeswoman Josee Picard said departmental increases reflect "strengthening emergency management capacity, critical infrastructure protection and federal emergency response capacity." The RCMP says public service staff now account for 25 per cent of the force, up from 21 per cent in April 2006. Spokeswoman Sgt. Julie Gagnon says the change partially reflects "civilianizing" operational support and administration jobs. The Canadian Security Establishment added 587 employees, a 42 per cent increase, while FINTRAC — the Financial Transactions and Reports Analysis Centre of Canada which tracks money laundering, organized crime and terrorist financing — almost doubled its staff to 376 from 200, an 88 per cent spike. The Department of National Defence was up by 6,199 civilian staff, or 29.5 per cent. Other smaller agencies under the public safety rubric — such as the National Parole Board, the Public Prosecutors Office and the office of the Correctional Investigator — also grew by factors greater than the overall public sector increase. The Justice department grew 10.7 per cent between 2006 and 2012, less than the overall growth in the federal civil service. The Harper government's preoccupation with justice and security issues is part of the Conservative party brand, so the big civil service staff increases in these areas come as little surprise. Other growth areas are more surprising. Aboriginal Affairs grew almost 38 per cent, according to the PBO numbers, adding 1,481 people to the payroll. The Canadian Environmental Assessment Agency almost doubled, to 240 people on the payroll in 2012 from 127 in 2006. But some other priority government departments have not witnessed any growth, and indeed may have grown smaller. The powerful Finance department lost 22 per cent of its staff and, with 781 people on the payroll in 2012, was at its smallest size since the late 1990s when Liberal government cuts had taken their toll. Finance spokesman Jack Aubrey said the reduction can mainly be attributed to the transfer of "shared corporate services" personnel over to the Treasury Board. Indeed, Treasury Board ballooned 163 per cent as various services were consolidated in the department. Citizenship and Immigration, another area of much Conservative policy revision, was down 8.3 per cent, Canadian Heritage was down almost seven per cent and Industry Canada was down 10 per cent. 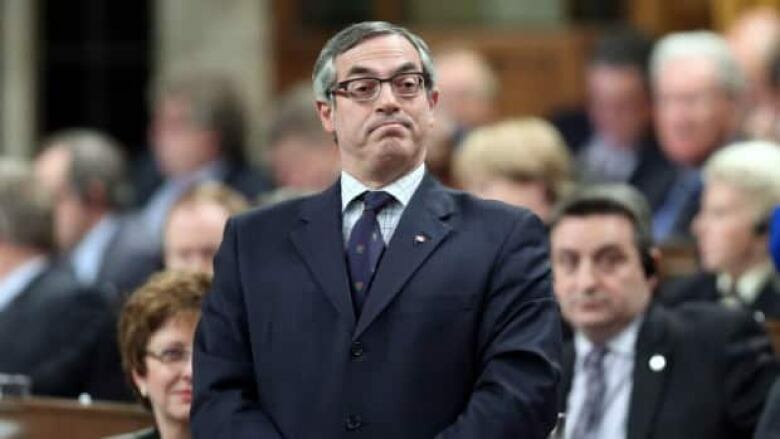 "By 2015 the Department of Canadian Heritage will be nearly 40 per cent smaller than it was at the start of the economic downturn in 2008," said Jessica Fletcher, a spokeswoman for Heritage Minister James Moore. Departmental figures show that arts funding transfers have remained stable. "We cut the bureaucracy and protected funding for Canadians outside Ottawa who needed it most," Fletcher said in an email. Natural Resources Canada, which has been spending millions of dollars advertising its "responsible resource development" mantra, had 1.4 per cent fewer employees on the payroll in 2012 than in 2006. Library and Archives Canada was down less than one per cent. Perhaps most surprising, given popular talk of the growth and control of the Prime Minister's Office and its bureaucratic support arm, the Privy Council Office, PCO staff numbers fell more than four per cent — to 892 staff from 932 — between 2006 and 2012. Much has been made of spending cuts in the Conservative government's 2012 budget, which proposed slashing 19,000 positions from the federal public service over five years. According the PBO data, more than 34,000 individuals were added to the public payroll between 2006 and 2012.